Sharla Y. is a Screening & Information Specialist with the Helpline and has extensive public health experience within Boston. 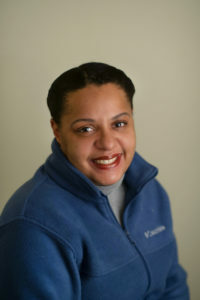 Before joining HRiA, Sharla was an Executive Assistant and Consortium Coordinator for over 10 years for the Boston Healthy Start Initiative to reduce infant mortality. She has also worked as a Health Ambassador for the Healthy Baby Healthy Child Program with March of Dimes. Sharla is certified in Family Planning and Family Development Credentialing and is a Certified Community Resource Specialist. In addition to the Helpline, Sharla works as Career Development Specialist at Bay Cove Human Services.